I moved to the Asheville - Wolf Laurel area in 1992. As an avid outdoors person seeking relocation, I have never regretted that decision. Still, I suppose it is nice to see affirmations of one's life choices, like those below. On the Asheville Chamber of Commerce website recently, I noticed that the area had been named to no less than 42 different "best of" lists in the past 4 years. (Link is here, warning PDF file, a format I do not relish on the web). So, what kinds of things led to this type of recognition from the likes of , AARP, MSN Money, Forbes, National Geographic, Outside Magazine, USA Today, Parents Magazine, and The Harris Poll among others? # Culture and entertainment (from museums and opera to shopping and sports events). # Access to outdoor recreation, from skiing and biking to walking and hiking. # Safety—personal and property safety, and a generally secure feeling. # Colleges or universities (for continuing education and a multigenerational vibe). # Sense of community (often places with a vital and walkable downtown). # Proximity to comprehensive, well-regarded health care facilities. # Good public high schools, since many boomers still have teens at home. # Ease of getting around (public transportation, traffic, access to an airport). 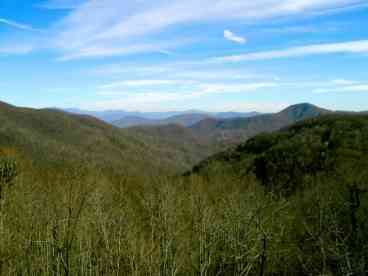 The university town of Asheville sits in the spot where the Great Smoky and Blue Ridge Mountains meet. Its lively arts scene, short winters, excellent health care, and a dash of bohemian funkiness (lots of acupuncture and rolfing going on) have attracted boomers on the move. The downtown heart of the city (with an impressive collection of Art Deco buildings) has coffeehouses, antiques shops, bookstores, and galleries selling crafts (weaving, pottery) by mountain artists. And civic activism is strong; you'll find impassioned groups working to foster Appalachian music and to protect national forests from logging. In a town with deep musical roots, the scene is hopping—you might catch live bluegrass one night and contra dancing (lots of promenades and allemandes) the next. But arts options go beyond bluegrass. The Asheville Symphony Orchestra performs September through June, and the Brevard Music Center puts on a summer program of jazz, pop, and classical concerts. In spring, head to the hills. The Blue Ridge Parkway skirts the edge of town, offering a quick escape to mountain hiking, fishing, whitewater rafting—and views of the dogwoods in bloom. Readers can catch a quick photo essay of Asheville here from AARP. Black Bear Realty Home Page. Nice solo performance by Carole. If this clip should be missing, then: Lots More Carole King TV and Concert Performances at this location. Bankrate dot com is a website that I occasionally visit during my week. It offers general financial information, indexes, and trends beyond simple real estate. (Note: the site seems to be supported by advertising and "pop ups". The Firefox web browser is impregnable to such annoyances, I cannot speak for other browser experiences such as Internet Explorer, Netscape, etc). Recently Bankrate revisited an oldie but a goodie from when I was in real estate school in an article entitled "Debt-to-income ratio important as credit score". Don't let the title scare you off, the concepts involved here go no farther than grammar school arithmetic, so anyone can come up with this measure of personal financial viability in the housing market in just a few minutes. This is nothing more than simple addition and division. Divide all of your "recurring debt" by your total monthly income, the result is a percentage and loan officers mostly look for this number to be less than 36%. "Recurring debt" ONLY includes monthly payments such as mortgage or rent, (Mortgage should include PITI, that is, principal + interest + taxes + insurance), payments for home equity loans, minimum payments on credit card debt, student loan payments, automobile loans, and any other types of loans. Recurring debt does not include transportation, gasoline, food, entertainment, dry cleaning and other day to day living expenses. Let's look at a couple who earns $125,000/year, which would be $10,416.66/month. If this couple has a mortgage payment of $1,600/month, plus two automobile loans which total $750/month, minimum credit card payments of $329/month, and student loans of $102/month, then their "recurring debt" would be $2,781/month. Their debt to equity ratio is then $2,781/$10,416.66 = 26.7%. This is a healthy situation for our mythical couple because the majority of loan officers use 36% as an indication of risk on the part of the lender. Understanding this simple concept can be an aid when considering what kinds of homes one should be viewing in the case of a new purchase. Simply multiply your monthly income by 36%, and this number will be your maximum recurring debt. from here, it is a simple step to determine the maximum amount of mortgage payment that you can undertake, and in turn, the price range of homes that are within your reach as far as a lending instituion would be concerned. 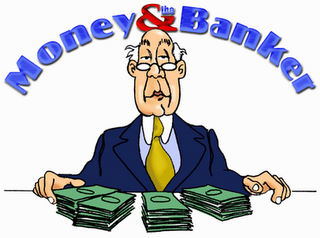 Bankrate has a debt to equity calculator at this link, and whole series of financial calulators at this location. As a final note on debt, should you or anyone you know ever need debt management, my advice is to follow this maxim: It is not necessary to pay money to a debt relief firm for help. There is nothing that anyone can do for you for money, that you cannot do yourself for free. The Federal Trade Commission offers a heap of consumer advice on this and other consumer topics at this link. Thanks for reading, please feel free to visit The Black Bear Realty Home Page. Honoring the 50th anniversary of Stax Records in Memphis, TN. 1960's Dance Crazes: The Orlons and The Wah-Watusi, from 1962. Miles' Nervine: What a commercial. Remco Toys: Slogan-"Every boy wants a Remco toy....and so do girls". 1959: Clutch Cargo Cartoon Clip: With his pals Spinner and Paddlefoot. 1960 Goodyear Tire Commercial: "Goodyear..for when there's no man around." Election 2008: How Did The Mountain Counties Vote? 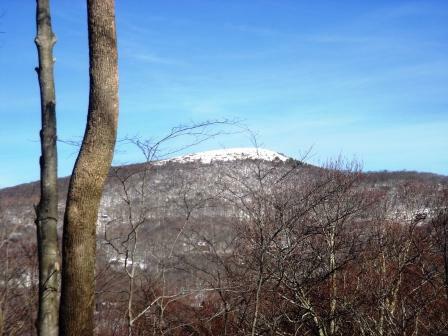 Asheville Slide Show: Just a quick shuffling of recreational & cultural opportunities in the Ashevegas, Wolf Laurel Area. Asheville Walkability, Etc: Asheville has a walkscore of 95/100, it's the latest in hipness. A few weekend things to do while walking downtown. Drought and Black Bears: yep, we get periodic droughts, and that brings black bears closer to humans in their search for food. Outbound links and advice for proper behavior. The Synchronous Fireflies of Elkmont, Great Smoky Mountains National Park: Mid June each year, one of the natural and rare wonders of the planet, seriously. Weekend Stuff: Typical early November in Asheville. Two film festivals, a studio stroll and more. Asheville on the Weekend: Periodic list of typical opportunities in the area for entertainment, recreation, etc. Summertime Repertory Theater in Mars Hill, NC: A small look at The Southern Appalachian Repertory Theater, or SART, and the Summer 2007 calendar. Theater Review: Just a nod to The Southern Appalachian Repertory Theater, (SART), on a recently published and highly favorable review. Things to Do in Asheville: This is a specific notice of a Western North Carolina Jazz Society event with Monty Alexander, but includes outbound links for future reference. Includes 3:29 video performance. Asheville on the Weekend: David Crosby, Graham Nash, and Fall Festivals With Video. Dual Asheville Film Festivals: Drawing more than 35,000 visitors, an annual event. Asheville Area White Water Rafting Vol I: Water levels in rivers get low in summertime. How to get the trip you pictured, and the most value for your dollar from a 35 year white water veteran. Information on age requirements, and different trip styles as they relate to you. White Water Rafting Vol2, reviewing Asheville white water rafting trips, and finding the best options during dry summers. real time water data, and veteran suggestions about where are the best choices for fun. Hot Doggett 100 Bike Race, and More: Second annual Hot Doggett event in Mars Hill on 07/14/07. This post includes links to The Asheville Citizen Times Outdoor Calendar as well. Carolina Mornings to host MANNA Food Bank Holiday Event. Summer Fling Things to Do: Destinations, and events for the weekend, including real time information and calendars. Asheville Events: Focus on upcoming annual festivals for the fall. The North Carolina Mountain State Fair: For two weekends each September, this posting contains information on Asheville's version of an American, Autumnal classic, the country fair. Complete with 3 min video from past fairs. Fall Color Forecast: Things look very optimistic for this years show of Autumn colors here in the Western mountains. Latest Foliage Forecast: Includes real time slide show and forecast for coming weekends! October 19, 2007 Fall Photos and Festivals. Launching The Asheville Real Estate Blog: A few words about the area, and our philosophies, which pledge hard data and information above rhetoric. May 2009: Multi Year Drought Alleviating? Microclimates: My neighbor can grow petunias and I can't? Enthusiasm, Asheville, and Economic Well Being. Asheville Area Makes Sperling's "Best Places to Live" at #8: Who is Bert Sperling? Outside Magazine: Asheville Among "America's Best Outdoor Cities"
Interview With Bert Sperling: The man who chooses the best places to live. White Water Rafting and the DroughT Vol 2: reviewing Asheville white water rafting trips, and finding the best options during dry summers. real time water data, and veteran suggestions about where are the best choices for fun. Bele Chere: The largest street festival in the south, Asheville's annual Bele Chere. Energy in Asheville: World's largest use of residential solar, and other renewables in the region. From Forbes Magazine: A fun list of "Ten Trophy Home Must Haves", ranging from copper bath tubs to an $800,000 computer screen, or $1 million stereo speakers. Local News Bits: Just a few current topics and news stories involving subdivisions, alcohol sales, and life in the mountains. Launching This Blog: A few words about the area, and my basic philosophies. 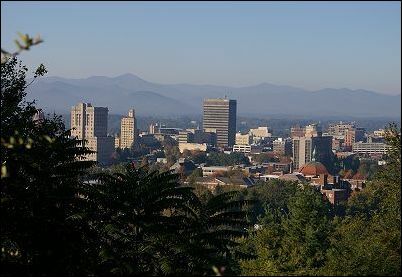 Asheville/Wolf Laurel Region Has Been Named to Numerous Prestigious "Best Of" Lists For Boomers and Retirees. Just a few quick links and observations about what life here is like. A Closer Look at Home Valuation Sites Like Zillow or HomeGain in a Resort Micro- Market:A quick rundown and demonstration of the drawbacks to putting too much faith in valuation sites for sellers, or in the completeness of listings if you are a buyer. Another Look at Automated Valuations in a Mountain Micro Market: These tools remain plagued by incomplete and untimely data. These aspects are magnified in a small resort micro market. A human being remains your best bet for such questions. Bele Chere: Information on the 2007 edition of the largest street festival in the south, Asheville's annual Bele Chere. Composite Decks: A large primer on this growing material, includes numerous outbound links to separate reality from myth. Buying a Second Home, The Basics: the purchase of a second home has a slightly different set of logic, questions and concerns than for a primary residence. Financing, taxes, timing your purchase, insurance, and the prospect of renting said home are covered here. The Perseid Meteor Shower Visits: Annual event, with tips for viewing, times, etc. A must see from a light pollution free area such as Madison County. All Real Estate Data, Statistics, and market analysis for sellers have been moved to this archive. Home Improvement Scams: Resources and references for spotting home improvement scammers in advance, including some little covered aspects pertinent to the mountains. ROI: Return on Investment in Matters of Home Improvement Projects: Some outbound links and analysis from the likes of Forbes, and Money CNN. Home Improvements & ROI Vol 2: Ideas to double one's money in certain common areas, with short video from The Today Show. Projects include, decks, fireplaces, laundry rooms, 2 car garages, and the kitchen. Fall Home Maintenance: Good set of resources and outbound links to remind ourselves of those "get ready for winter" items that might impact a sale. Theater Review: A nod to The Southern Appalachian Repertory Theater. Intro to Home Inspections: Brief overview of the process, and the inaugural edition by guest poster, Don Miller of WNC Inspections. Building a Second Home: Thoughts and resources that cover everything from searching for the land, to choosing and working with contractors, architects, and landscapers. Buying Mountain Land: Collection of Links and articles that overview the process of buying raw land, including wells, driveways, septic systems and even "dowsing". Matters of Timing When Buying or Selling Vacation Homes and Land: A look at the basics of seasonal cycles in resort market real estate sales. Insights for both parties in a vacation home transaction. Monitoring Your Second Home From Home: A little look into 21st century methods to monitor your mountain home from a distance. Resources for Buyers, Sellers, and Mountain Home Owners: A First installment of information and links on topics ranging from second home insurance to monthly upkeep. Insurance and Your Second Home: Find discounts, and tips for optimizing insurance costs and coverage for your second home. Vacation Home Rental Income in Western North Carolina: Looks at 3 basic rules and how this applies to making a profit or simply defraying costs of ownership. Gasoline, Vacations, and Second Home Rentals: How rising costs for gasoline can be a boon for second home rentals. The Carnival of Real Estate is a moderated event that judges the best writing in the real estate blogosphere each week. 12/22/08: Why Can't Gasoline Be Like Real Estate? : A look at the nature of supply and demand in two markets. Hopefully useful to buyers and sellers. The list of other winners in this edition can be found here. 11/30/08: Our article on how to easily compare the costs of different heating fuels for home owners, buyers, or sellers. My original plan was to have extensive links for in depth information about living here. to reside on this blog. As the construction process evolved, those links ended up on our Black Bear Realty Website on This Page. Lots of stuff, including many slide show images, hope it works as well for those of you who are far away as I intended.